As well as the HTC One M9 and the HTC Grip another new device was unveiled by HTC at MWC 2015, the HTC Vive which is the company’s VR headset. 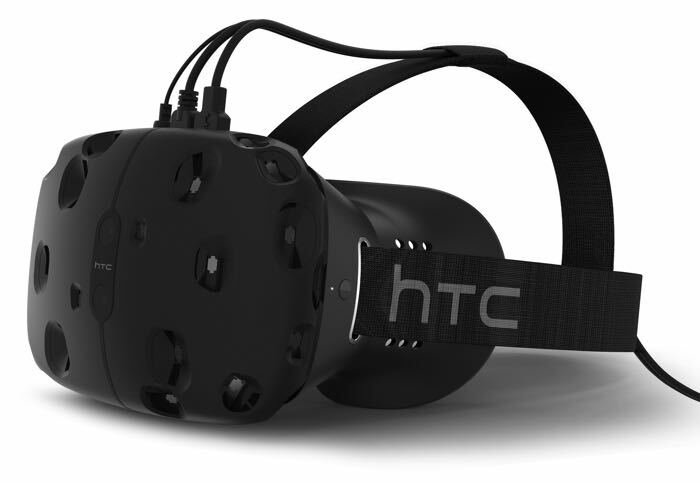 Last week there were a number of rumors that Valve were launching a VR headset and it turns out that Valve and HTC have teamed up on the HTC Vive. The HTC Vive features two 1,200 x 1080 pixel displays, one in front of each eye and it has a refresh rate of 90 frames per second, it also comes with an audio jack which allows you to plug your headphones into the device. HTC will be releasing their new HTC Vive VR headset as a developer edition later in the year, you can find out more information about the device at the link below. As yet there is no information on pricing or an exact release date.